‘Tis the season of sniffles and coughs, body aches and congestion. It’s officially the time of year when the flu can make for a miserable few days. But it doesn’t have to take its toll on you or your family. 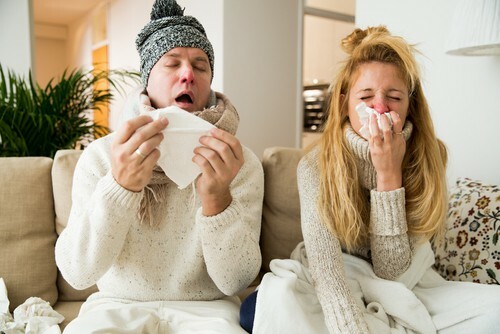 Our dental office in Madison is here to help you prevent the flu this season with some helpful tips. Following this these tips can go a long way in helping you prevent getting knocked down from the flu. However, if you happen to catch the bug, our Madison dental office encourages you to use sugar-free medicines to help alleviate your symptoms. Not only will these medications help you feel a bit better, they’re safer for your teeth, too. As always, having a healthy mouth can directly impact how healthy you are overall. Make sure you brush and floss every day and maintain visits with your dentist in Madison at least every six months.